U.S. Rep. Ilhan Omar (D-Minn.) has told a crowd of LGBTQ supporters that conversion therapy is “torture” and should no longer be legal in Minnesota or any other state. Omar made the comments on Thursday at a rally on the steps of the Minnesota State Capitol with LGBTQ youth and allies who had marched from OutFront Minnesota’s seventh annual Youth Summit at Saint Paul College, reports the Associated Press. The rally comes as a bill to ban the therapy is working its way through the state legislature. 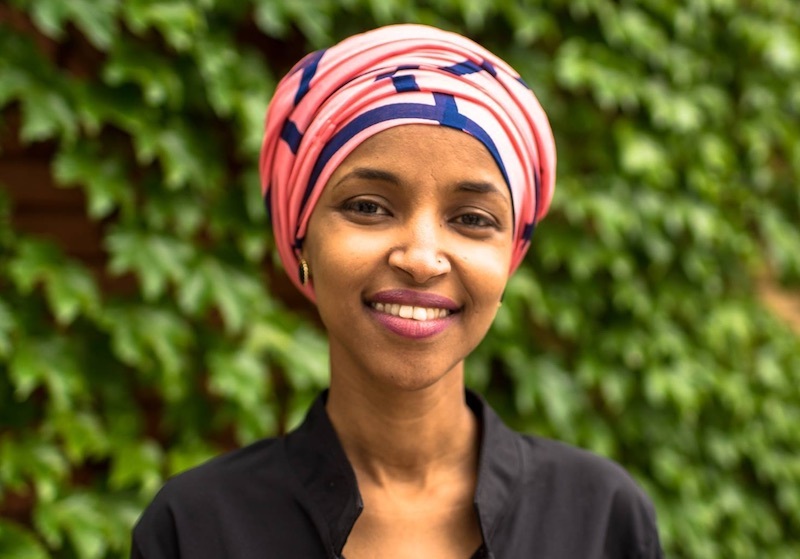 Omar, who was elected to Congress last year, was the co-sponsor of of similar bill when she served as a member of the Minnesota House of Representatives. Sen. Scott Dibble (D-Minneapolis), the only openly gay Minnesota senator, also spoke at the rally, urging the youth in attendance to meet their legislators, fight for change, and run for office. There is currently no credible scientific evidence that therapy can change a person’s sexual orientation or gender identity, though many who hold religious beliefs opposing homosexuality or transgenderism believe that it is effective in deterring people from engaging in certain behaviors that don’t conform to societal mores around sexuality or gender. A 2018 study found that the rate of attempted suicide by LGBTQ youth who were subjected to attempts to change their sexual orientation was more than double the rate of those not subjected to such attempts. For young people who reported both home-based and therapeutic-based interventions, the attempted suicide rate was three times higher. Due to the increased risk of suicidal ideation, as well as research documenting higher rates of depression, substance abuse, and decreased self-esteem, most major medical and mental health organizations, including the American Psychiatric Association, American Psychological Association, and American Medical Association, have gone on record as opposing conversion therapy and questioning its efficacy. Currently, 15 states, the District of Columbia, and hundreds of municipalities have bans prohibiting licensed therapists from subjecting minor patients to conversion therapy. Besides Minnesota, lawmakers have introduced bills to ban conversion therapy in 20 other states, including Maine, Massachusetts, Utah, Pennsylvania, Texas, Arizona, and Florida.